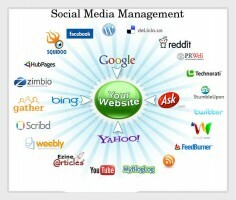 Home / Web Development / Planning to start a Social Networking Website? We can help you! Planning to start a Social Networking Website? We can help you! Are you planning to start a social networking website that can compete with Facebook or Twitter in the future? We can help you to achieve that dream of yours. Now, you might think that why you would need anyone’s help. 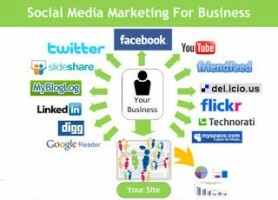 You might be thinking that starting a social networking website is very easy because Facebook and Twitter have done it. Well, you might be slightly wrong in that because starting a social networking website is difficult than starting a normal site. So, that is why you might need help in social networking software development. Let’s see how Custom Software Development Company can help you in this quest of yours. The first step to create any social networking website is to come up with an idea. Facebook is all about posting status, comments, fan page etc whereas Twitter is about tweeting. Similarly, you need to come with some unique idea to attract people. Since, thinking and designing can be difficult to do at the same time you might want to go to a Custom Software Development Company and ask them for help. There might also be a high chance that you might not be so proficient in website designing, so asking us for help might just solve that problem. People normally use the social networking website to keep in contact with their friends and be up-to-date about their daily activities. So, it is a must that you include such application that enables people to know what their friends have been doing etc. For that you will have to go to a software web application development company and ask them to build you such application. All social networking websites must be safe and secured because breach in such website may result into leaking of private information. No one would like that to happen, would they? So, once all the users have started to use your website, it is your duty to protect their information. That is why you might want to consider hiring a social networking software development company to build the security and other features of your website. Before using the social networking website, everyone will have to create their own profile. Plus, they will have to authenticate their profile through username and password. That is pretty much the trend of the social networking website. For that you need to have the right script and we can provide you that script. You can always try to start your own social networking website, but the fact is you will need an outsider help at some point. Who can be a better help than the software web application development company like us?